Those of you that like your history might just be interested to play 1429 Uncharted by Thunderkick Games. Themed around Christopher Columbus when he first set sail on an epic mission to reach Japan almost 600 years ago, this is an online slot that has been earning top-notch reviews from players that have played it. An excellent RTP of 98.6% might explain some of the popularity this online slot receives but there are plenty of other reasons as well. 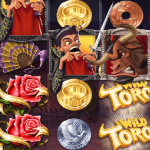 Players have the potential to land 50 free spins or take advantage of the superb expanding wilds feature that can lead to some big wins as well. 1429 Uncharted is a 5-reel slot that has 25-fixed paylines and much like other online slots from Thunderkick Games, the design and graphics really are unique. Everything is laid out to look like a map of the high seas and this is extremely creative we feel. This online slot has a medium variance which will appeal to many of you out there. While it might not have the regular small payouts of low variance slots or the slower yet bigger payouts of high variance slots, 1429 Uncharted offers something in the middle. This means you will not be waiting too long for payouts that will be in the medium-sized range. Are you ready to set sail on the high seas with Christopher Columbus? Ready to face those sea creatures that stand int he way of your quest? Then read on to find out even more about 1429 Charted and what it has to offer you as players when you play it. 1429 Uncharted really stands out in how it looks and you can see how clever Thunderkick Games have been in this regard. The reels look like a map with each of the symbols on them looking like specific map markings. They look like they have been hand-drawn and you will see the likes of a selection of various sea creatures, the sun, moon and star. Mermaids, turtles, squids, lobsters are among the sea creatures you will find on the map and these are where your higher-paying wins will come from if you are lucky enough to land them in winning combinations. Those graphics really are impressive and they really help to set the scene of what this online slot is themed around. Thunderkick really has done themselves proud in this regard and we feel they are really starting to gain ground on the bigger software developers around. While you can win some good payouts from the base game, most players come to this online slot because of the game features. With a potential 50 free spins up for grabs, you can really add some profits to your online casino account. F can also add some much need wins. The bets you can place across the twenty-five fixed paylines can be between 0.10 and 100.00 per spin and these can be changed up easily by adjusting the coin values. Once you have set your bet and are comfortable that it suits your bankroll, you are now ready to start spinning the reels in the hope of landing some wins or unlocking some of the following game features. Stacked wilds are always welcome in any online slot as they have the potential to bring in multiple wins from a single spin. On 1429 Uncharted, these stacked wilds can appear on the three middle reels and when they do, they will expand to cover all of the reels. You can just imagine the sort of payouts you might be able to get from this excellent feature. If you want to know why players are flocking to 1429 Uncharted at the online casinos, one of the main reasons is definitely the lucrative free spins round. With as many as 50 up for grabs, there is definitely the scope for some big earnings to be made from this bonus feature. You need to find the compass symbol on the reels at least three times to land a healthy 10 free spins, four times to land 20 and if you land all five of them, you will get a staggering 50 free spins. Furthermore, when you land the compass symbol during the free spins round, you will get an additional five free spins each time up to a maximum of fifty. What this means is that if you landed the five symbols to get the 50 free spins, landing additional symbols will unfortunately not give you any additional spins. 1429 Uncharted was released more than three years ago now but it is still a popular choice at the online casinos. Players are drawn in by the excellent graphics, a very impressive RTP of 98.60% and game features such as a possible 50 free spins. In fact, when you consider this online slot as a whole, it really delivers an all-around online gambling experience that can be classed as high-quality. Everything from the design, layout, soundtrack and the features has been developed to a very high standard and it is easy to see why it has players lining up to play it. 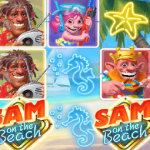 As well as all of the above, this online slot is also mobile-optimised which means that players can enjoy the slot whenever they are out with their mobile devices. No matter whether you are using Android, iOS or Windows 10, you are able to play this slot effortlessly and possibly take down some impressive wins. All we can say is that you really have to try this slot out for yourself. The very next time you are at your favourite online casino, load it up and you will soon see why we recommend this online slot to our readers. You can even play it for free if you are still not sold on it and test it out without risking any money. Go and check it out and we are sure you will not be disappointed.